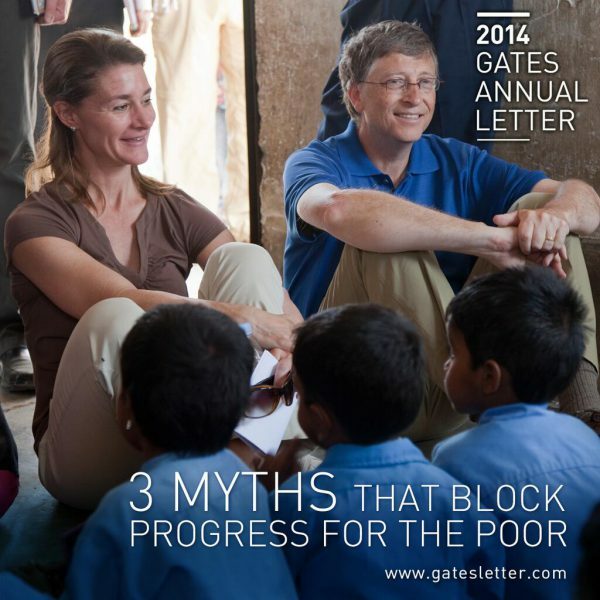 Philanthropists Bill and Melinda Gates pitched an optimistic future for the world’s poor and sick in their 2014 Annual Letter, arguing passionately against three myths they say hurt efforts to bring people out of poverty, save lives and improve living conditions. In their sixth yearly letter, the co-chairmen of the world’s largest charitable foundation seek to dispel notions that poor countries are doomed to stay poor, that foreign aid is wasteful and that saving lives will cause overpopulation. Find a pdf of the annual letter here.